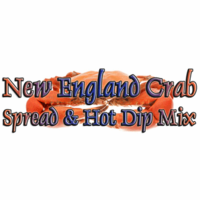 New England Crab Dip & Spread Mix by All Mixed Up, Ltd.
Our Crab Dip Mix makes a creamy, cheesy dip or spread packed with crab, onions, peppers, and seasonings made just for seafood! Serve it as a hot dip or a cool spread. Gluten Free. No added MSG.